5. 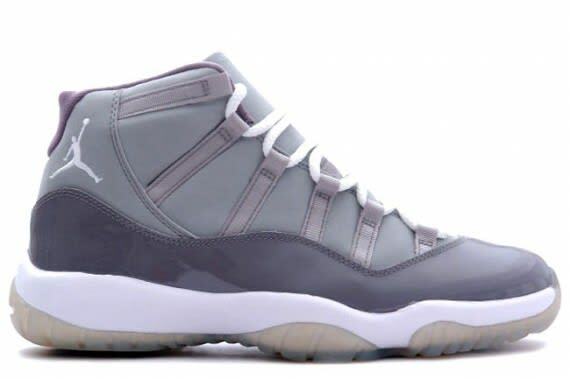 Air Jordan XI Retro "Cool Grey"
Complex says: Jordan IIIs may be king on most people's best-of lists but Jordan XIs bring the ruckus when it comes to releases. Last winter when the "Cool Grey" XIs dropped just days before Jesus' birthday, people got in the holiday spirit camp outs for midnight releases, paying double a few days prior just to guarantee locking them down, and in a few bigger cities there were even reports of gunplay.